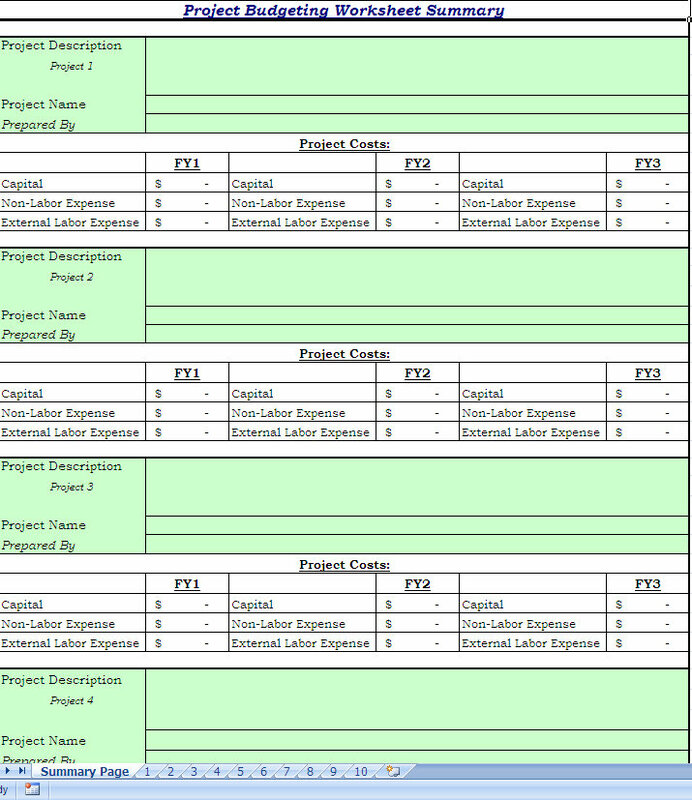 This Project Budgeting Worksheet excel template is designed for someone who manages many projects involving capital, non-labor, and external expenses. This Project Budgeting Worksheet includes 10 worksheets for up to 10 projects and 1 summary page. The summary page is linked to the 10 projects so you may want to lock that worksheet so you don’t mess up the formulas on it. Download this Project Budgeting Worksheet today! please give the Salary Sheet, Budget Sheet, & Template. I watch your Sheet it good.